The scene opens with the blue-grey drabness and cold columns typical of an old-school bank. It’s a great ad and an unmistakable break from the way most banks approach retail banking, even as most of them attempt to adapt to modern sensibilities. A crucial part of realizing this new banking vision, according to the company's CIO for retail and direct banking, is going all-in on the cloud. "Our main focus is…to provide the best experience for our customers," explained Gill Haus, Senior Vice President, Retail and Direct Bank CIO & Technology Delivery Transformation for Capital One. "We want our customers to live the life they've imagined…and in order to do that we have to spend as much time as possible on the user experience." And, as Haus and Capital One see it, that means committing to moving everything to the cloud. As I sat down with Haus at last year’s Amazon Web Services (AWS) re:Invent customer conference, I wanted to understand the bet they were making, if it was even possible to go all-in on the cloud, and, in the end, if it was worth the trouble. The World Series of Poker and its tournaments of mostly Texas hold ‘em poker games has become a phenomenon, broadcast on live TV and attracting millions of viewers around the globe. And the most exciting moment, the moment that viewers anticipate with great delight, is when a player goes “all-in” and pushes all of their chips into the pot placing a make-or-break bet. Going all-in on the cloud shares much of the same allure as this riveting moment in a poker game. It feels bold and daring. It communicates to the world that you are confident and that you will move decisively to win the game. And as we speed into the digital era, perception is reality (at least, in part) as organizations jockey to have their customers, investors, and prospective employees see them as a trailblazer marching confidently into the future, rather than seeing them as an artifact of a by-gone era. From its earliest days, those marketing “the cloud” and cloud-based solutions have been masterful at creating this imagery. If you’re in the cloud, you’re modern and hip. If you’re not, well, you can figure it out. Moving to the cloud has always been about investing in this promise. And, thankfully, companies like Amazon (via its AWS arm) and Microsoft (via its Azure offerings) have been working hard on making all of those promises a reality. At some point a few years back, we reached the tipping point. Up until that time, it was acceptable to question whether or not the cloud made sense for your organizations or to take a measured approach to adopting it. Today, it’s the opposite. If you are not a “cloud first” organization or preparing to go “all in,” you must be prepared to explain yourself. As companies like Capital One see it, there is no other option. From their perspective, the stakes are just too high, the demands too significant, and the technology is changing too quickly to do this any other way. That’s the case for going all-in. And it’s captivating. But beyond the rosy-cheeked optimism, the question remains: is this even possible? A pipe dream or real-world strategy? Have you ever had one of those moments where you got all excited about doing something big, how important it is, how great it would feel at the end — and then had that sobering moment of reality when, as you began the undertaking, you came face-to-face with the enormity and complexity of the task? Well, that’s a moment that many enterprise leaders will be experiencing repeatedly as they attempt to go down the all-in road. Adopting the cloud, along with many other modern technologies, makes a ton of sense when an organization is executing a net-new, so-called greenfield project. There is no technical debt, no preconceived perceptions, nor any political baggage with which to deal. But as organizations attempt to scale their efforts into their legacy domains — precisely what is required if you are to go all-in on the cloud — they run into all manners of challenges. This need to bring legacy systems into the modern fold, in fact, has given new life to an old idea: modernization. The new incarnation of legacy modernization, however, bears little resemblance to the multi-year, ridiculously expensive, and all-but-guaranteed-to-fail efforts of the past. Today’s modernization efforts are all about making legacy environments relevant without necessarily throwing everything out and starting over. A whole host of vendors from across the technology spectrum are now stepping in to help enterprises modernize their legacy stack with these new approaches. This collection includes a vast range of technology solutions such as low-code development platforms (e.g., OutSystems, Mendix, AgilePoint), hybrid service providers that combine proprietary technology with professional services (e.g., WaveMaker, Synchrony Systems), and solutions that help organizations bridge the gap between legacy environments and the cloud (e.g., SkyTap). While taking wildly different approaches, each of these companies is trying to help enterprise organizations ease the transition as they attempt to modernize (which is becoming increasingly synonymous with moving to the cloud) and overcome legacy baggage. The focus they are putting on modernization speaks to both the need to modernize and the challenge of doing so. And it begs a second question: is it even necessary? While all this talk about modernization and moving to the cloud has been happening, there’s another, related movement that has been gaining steam: the revitalization of these ostensibly outdated legacy platforms. The poster-child for this movement is Compuware with its mission to "mainstream the mainframe." The company’s stated objective is to transform the perception of the mainframe as a legacy boat anchor and instead integrate it into modern DevOps toolchains. But in the broad context of legacy revitalization, they are hardly alone in this resurgence in perceived viability. Tech companies as varied as IBM, VMware, CA’s mainframe division (now part of Broadcom), and Mulesoft (now part of Salesforce), all have stories to tell about how they can help organizations revitalize their legacy investments and pull them into the modern age. Each of their stories shares a common theme: it's not the legacy stack that's the problem as much as how you're approaching it. The case O’Malley and every vendor on the revitalization bandwagon is making is that these legacy systems are not nearly as outdated and obsolete as you may think. In fact, the story goes, these systems are so vital and central to core operational business processes, that there is more significant upside to revitalizing and modernizing them in place, and more potential downside by taking on the costs, risks, and heartache of moving them wholesale to the cloud as part of an all-in effort. Cynics and cloud diehards will claim that all of this is a red herring — the last-gasp attempt of vendors with a vested interest in the legacy infrastructure to remain relevant. But I don’t think so. 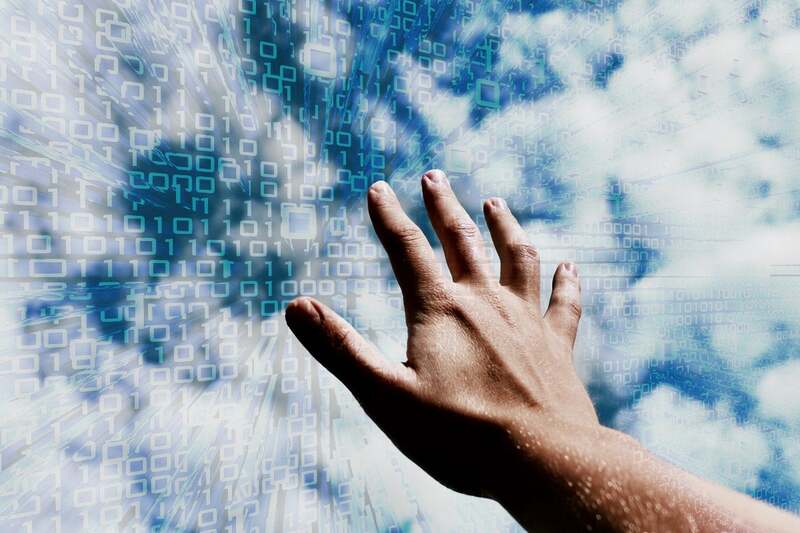 I am an ardent believer that we are not headed toward an all-cloud future, but rather towards an enterprise IT future defined by hybrid IT environments. These environments will bring together a broad mix of modern and legacy stacks, all reimagined and reorchestrated around the workload and the business value those workloads generate. And there should be only one answer to that question: because that's the most effective way of delivering competitive business value. I believe that Haus and Capital One are getting that right. He and the company are laser-focused on the competitive business value they must create for their customers. They believe that going all-in on the cloud is their best path to achieving that value. You or I may disagree with that calculation, but the basis for their strategy is dead-on. For most organizations, however, I believe the path to competitive value will lead to a hybrid IT model in which they rearchitect and move to the cloud where it makes sense and optimize the rest. But as you survey your world, assess the competitive threats and market opportunities, and prepare your strategy to take your organization into the future, don't get sucked in by the allure of going all-in on the cloud. Instead, go all-in on delivering business value for your customers and let that lead the way. Do so, and you’ll be sure to have the winning hand.